It is a hard question as it depends on many factors. However, we can be sure that some major elements should be in the package for a restful and memorable yoga retreat. From Yin yoga, to Asthanga, Hatha or Acro yoga, it exists indeed a lot of yoga styles nowadays. Do you want to rest, work out, meditate, or do you want all in one package? Have a careful look at the packages! The packages very often include daily classes, food, accommodation and transfers plus some extra activities/classes such as meditation, anatomy classes, massages, etc. Yoga in your town can, of course, be fun but it can get a little boring. Same teachers, same mat, same everything. When that happens, it’s time to add some fun to your practice! How about doing yoga on the beach while you can hear the waves of the ocean, or flowing through a Vinyasa class next to the Gange in Rishikesh? Are you a beach person or a mountain person? Then you need to choose a location that offers you more of what you want. Our favourite thing to do is to make a list of things to explore around for the few days left after the retreat. It is maybe the most important part of the journey. You should familiarize yourself with the teacher(s) guiding the retreat. Know how many years of experience they have both organizing retreats and teaching yoga and don’t hesitate to ask for client testimonials. Make sure the level of yoga meets your expectations too! Also, consider how much yoga you will practice while on the retreat. Some yoga holidays may offer only one class a day while others offer 2 classes daily and mini-workshops. To meet new like-minded yogis is, of course, a wish when booking a retreat. The community atmosphere when you go on a yoga retreat is a must. Lifelong friendships blossoms out of such excursions, and the experiences shared create a bond that is unforgettable. Have a look at who organizes the retreat, their reputation and what type of students they usually attract. Yoga retreats usually include pretty much everything except airfare. It is very easy to be attracted by a cheap price to realize you have to overspent on a fly airfare. Having an all included package allows you to not stress about extra expenses to do once arrived. Also, have a look at the season when booking a yoga retreat abroad in order to avoid the rainy seasons. Need a new Yoga Mat and bag to carry with you throughout the world for your yoga practice? Visit our Shop for eco-friendly yoga products, shipping worldwide at myogashop.ch or shop directly from here, below. We have experienced different places around the world for a yoga retreat that we really liked. For the people, the food and the wonderful beaches, Thailand is definitely one of our favourite destinations for yoga and vacation. 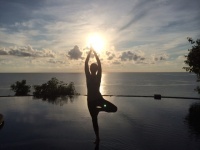 We did our yoga teacher training at Vikasa on Koh Samui Island and would recommend it to our students. The teachers were good and experienced. Vikasa is a nice place to practice yoga, find yogis, eat healthy food and just chill-out in a beautiful environment in Thailand, near by the beach located between the 2 main centers. Vikasa gives access to daily yoga classes, packages, regular events, and training of teachers, as well as various massages, meditation sessions and more. The ranges of prices are a bit high and the atmosphere tends to be more exclusive than “cool”. But, if you focus on the positive aspects of the place, it won’t bother you too much. We felt in love with Ubud for its great energy and various yoga studios. This is a great place to meet liked-minded people and discover a new culture in a paradisiac environment. Ubud is not by the beach but they are nearby and accessible by taxi or transfers. The Yoga Barn offers various retreats, teacher trainings, healing experiences and more. Have a look at their website for more information. The teachers were very interesting with a lot of background in Yoga. Some were locals and other internationals. People from all over the world go there. The packages are a bit pricy but it is worth it. We really enjoyed the Radiantly Alive yoga studio that offers interesting yoga classes but no packages. 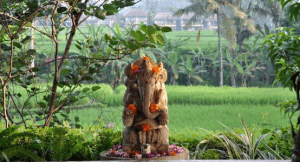 If you want to have a light and not engaging yoga vacation, you can always book a separate accommodation in Ubud and go whenever you want to practice at the studio. The teachers were good and experienced. Here are our favorite international instructors travelling in many continents. They give retreats and great workshops from one day to more. Kino yoga is our reference in terms of Ashtanga practice. She is an advance Ashtanga yoga instructor and is one of a select group of people to receive the certification to teach Ashtanga Yoga by its founder Sri K. Pattabhi Jois in Mysore, India and practice through the Fourth Series of Ashtanga Yoga. She gives workshops all around the globe. Her classes are very organized in term of practice, theory and learning experience. 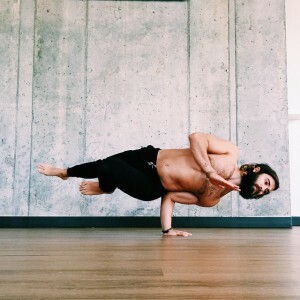 Patrick Beach is an international yoga instructor teaching fluid power vinyasa yoga that emphasizes strength, flexibility and a constant sense of play and adventure. He also organizes special workshops based on back-bends, headstands partner yoga & more. Juan attended on of his workshops in November 2015 in Orlando and it is a must do once in a life time. Patrick is a great instructor and listener. He also offers online classes and owns his own yoga brand. Jo Phee is a senior Yin Yoga teacher and deliver workshops as well as Yin Yoga Teacher Trainings in many countries. Lydie attended one of her training in Frankfurt in October 2015 to become a Yin Yoga teacher. Her program is very well made with Yin Yoga poses, Anatomy, Chinese Medicine theory and teaching methodology. She is very knowledgeable and is a great listener. Time to book your yoga retreat and/or workshop for the Christmas break? Do not hesitate to contact us for more info ! Shop below for our eco-friendly yoga products, we only have THE BEST yoga mat!